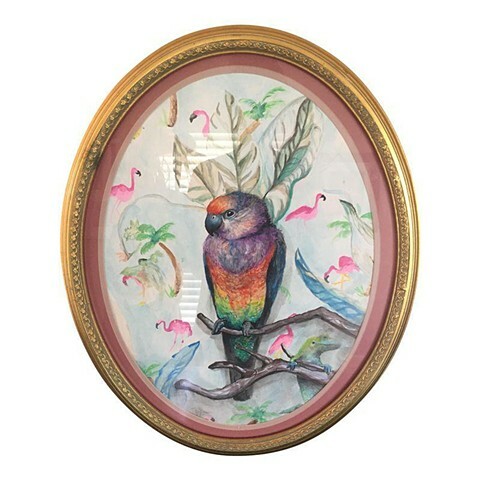 Gorgeous watercolor of a parrot in gold oval shaped frame. Vibrant colors. Tropical theme. Frame in good shape slightly discolored (as pictured) in one section. Signed by the artist.